Cantal is one of the world's oldest surviving cheese recipes, with written references to this un-cooked, pressed curd cheese from the Auvergne dating back 2000 years to the time of the Gauls. 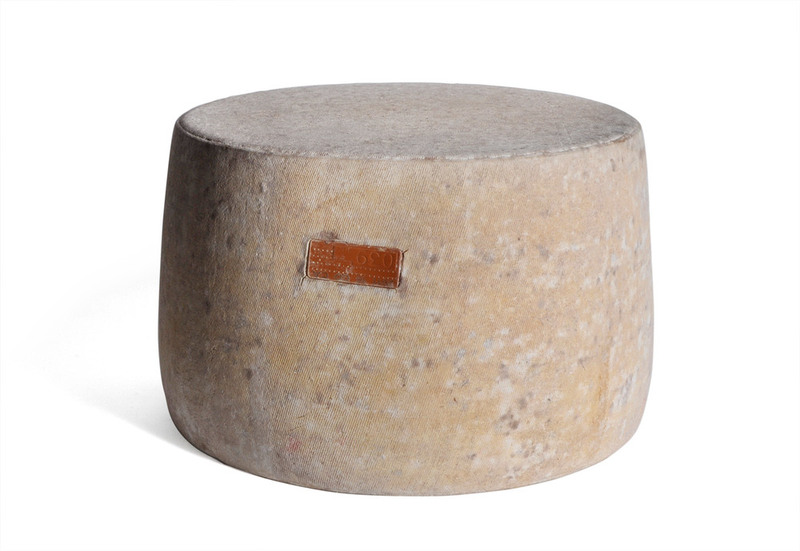 The cheese take its name from the Cantal mountain range - extinct volcanic peaks which cover much of the department. Harsh winters, high rainfall and mountain pastures meant that dairy farming in the region traditionally relied upon hardy local breeds of animal, including the magnificent Salers cow. Salers cows produce milk that is rich, characterful, and brilliant for cheesemaking. They are also extremely maternal by nature, which means that milking a Salers cow can be a trickier business than usual. A Salers mother won't produce sufficient milk if separated from her calf, so farmers must always allow the calf the first drink, and will then tether it alongside the mother throughout the milking process. It is quite an incredible process to witness, and requires an extra level of dedication from those farmers that choose to rear Salers for milking - a sadly diminished number. While much Cantal is no longer made with Salers milk, we work with a producer who collects milk from a group of traditional dairy farmers dedicated to defending the extraordinary milk of their local breed. The resulting cheese is hugely characterful: firm but buttery, with a gentle sweetness, mineral notes, and a finish of bright, refreshing acidity.